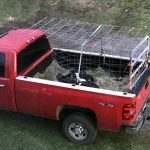 We got home late, so they slept in the truck bed overnight. 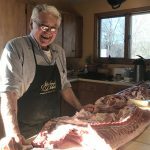 This weekend we harvested the first of our own pigs since 2013. Gosh I missed them. These piglets were born in Washington, Vermont, just about 30 miles away. They rode in a hay-lined truck to Randolph, and spent the rest of their lives rooting and snoozing and companionably sniping at each other over the food dish and the special treats I tried to spread around so no one got too much at the expense of the others. 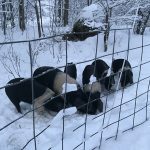 They are Saddleback pigs; a very old breed being rebuilt by the careful efforts of our friend Matt Whalen at Vermont Heritage Farm. 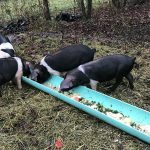 Sewer pipe makes a great feed trough. 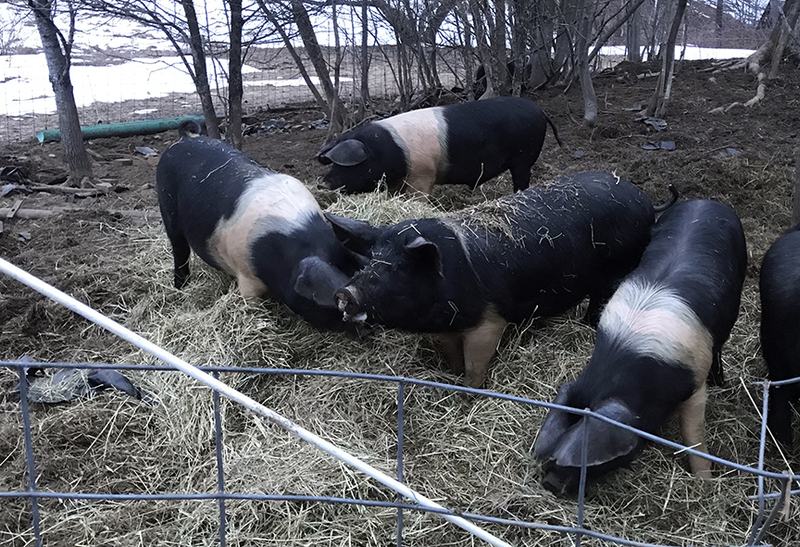 The pigs spent the winter growing, rooting, napping, finding bricks, flipping tires, and unearthing the roots of the collection of trees they sheltered in. Did I mention rooting? In the deep cold of winter, they dug into round hay bales and buried themselves up to the nose. They didn’t quite hibernate (how do you get the good snacks when you sleep through? ), but pigs are a lot like people. If they don’t need to go out in the cold, why bother? It’s nicer in here. Pigs make snow paths between breakfast and bed. 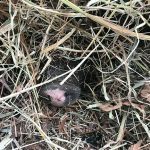 I gave them a fresh dry new round bale–nose! ten years. They do beautifully, especially when an old-style, heritage breed is used. Pigs suffer in the heat. They have very few sweat glands, which is why lying in a mud hole to cool off is such a preferred thing to do on a summer’s day. In the winter they just pile, lying lined up like a row of very large black and white hot dogs. By spring, they were two (or three or four) times the size they had been when they arrived in November. Jiggles in all the right places. Tree roots exposed for our selective cutting next month. Vegetation opened up and ready for a new seeding under the thinned trees. The sky was blue, the Spring birds back. It was time. Mark and Matt believe in the importance of bringing a dignified end to an animal that feeds a family. 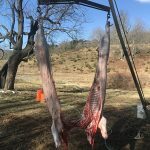 Neatly skinned and split carcass, hanging from a portable tripod they travel with. r a lifetime watching their father and grandfather (who are legends in our area). I missed them so much, too. 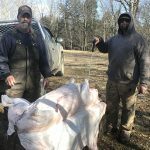 Mark and Matt and I talk about what we see on farms and they tell me about sugaring and Mark’s recent trip to Florida. They arrived at 7:30 am on the dot and were packed and driving away at 9:15 (that’s even with chatting). They had taps to check and I’m sure many other things to get on with during a busy Saturday. There are not enough words to describe how important Cole is to passing on meat education and general love of butchery. and it’s a darned good thing he’s been teaching us, because I’m not sure we could go back. Chris and I spent the day trading off vacuum sealing duties in the cool basement, while a small group of friends and family chatted with Cole, tried to “out joke” him, and ate sausages with mustard. Such a wonderful way to celebrate a life, thank you! 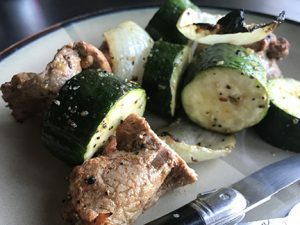 Tonight we ate some of the best–if not THE best–pork I ever had or raised. Sure, that might be related to the long, long wait of the past five years, but I’d like to think this was in many ways a sign of a good life, from beginning to end. Thank you fellas. We’ll honor and appreciate you, every bite. One of my favorite family visitors feeding a lamb in 2017. OK, I’ll own it. I’m a sucker for lambs. I wait every year to see what colors they’ll be and how many each ewe will have, and how strong and amazing they’ll be (they stand in minutes and often jump around within hours…it’s awe inspiring). 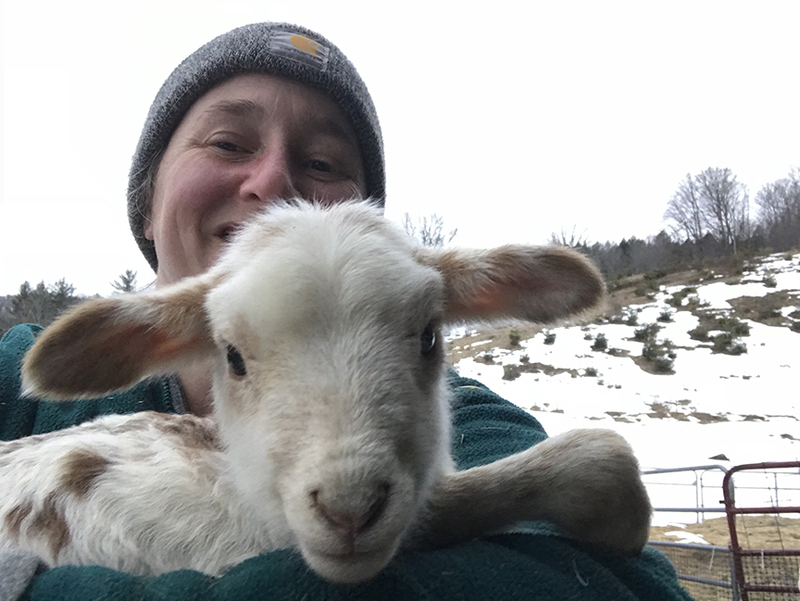 Lambing season isn’t all sunshine and roses, despite the pictures that end up on Facebook. Sometimes lambs die and sometimes they struggle. Sometimes the moms reject them and sometimes it keeps me up at night. Years like we’re having this year, it seems like spring will never come and the green grass is so far away. You know what gets me through that? 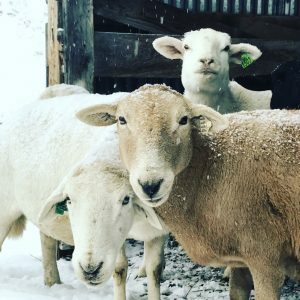 Everyone loves to see the lambs and when we moved out of town to our new home, it felt like we should create a new opportunity to share happenings with friends, family and neighbors. Thus our Lamb Open House event was born. Come join us Saturday, May 5! We’ll have refreshments and barbecue and activities…and lambs too! P.S. And please register to help us plan! Thank you! New leaders at Howling Wolf Farm. 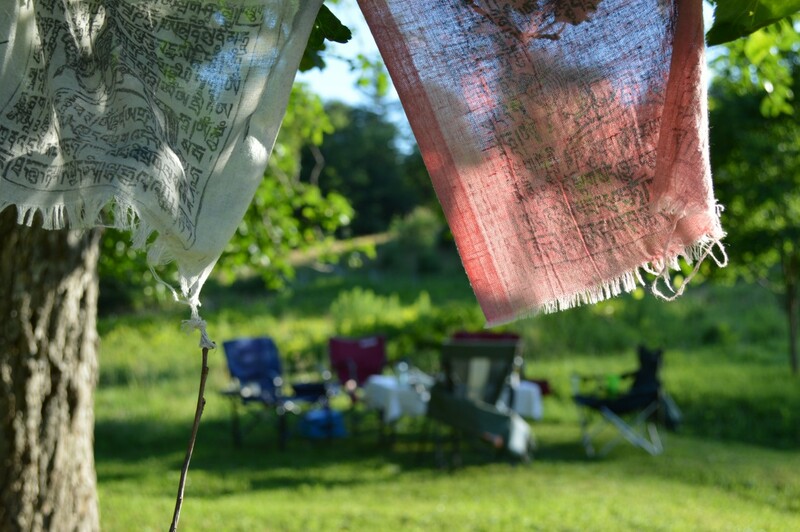 It’s been more than eighteen months at the new farm, and there is much to share. After the emotional roller coaster of finding and making the right location happen, we spent the fall of 2016 rushing around to get ourselves and the animals settled before winter. And then we mostly collapsed. Most of our friends and family forgave us for the withdrawal, and even came to share a little woodstove-and-chat time. The door is still open (and will continue to be) for all. Times of great change happen. I think the past several years have been times of great change for a lot of people, for a lot of different reasons. 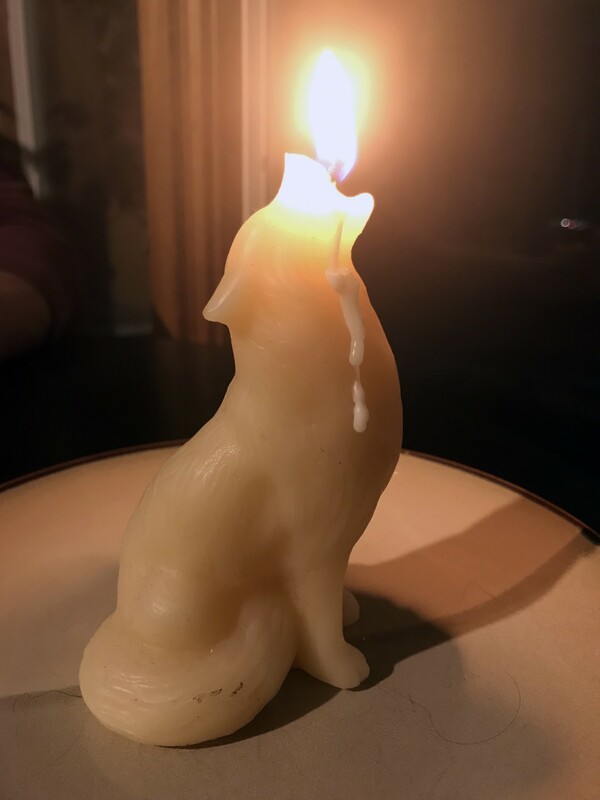 Our extended family has had tragic losses and some (one might even say, sacred) reemergence, healing and transformation. 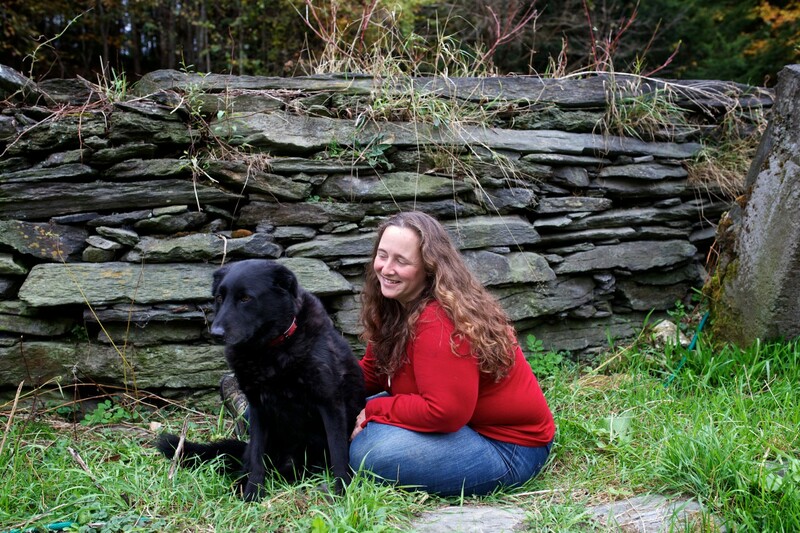 The farm has helped us heal and grow roots–already–that we never seemed to have developed at the old place. Maybe it’s the regular wind up here on the hill; we must develop those deep roots to stay upright. A good lesson on so many levels. In 2017, we spent much time just experiencing the farm through seasonal changes. There’s so much more to understand about the wildlife and the forest and the farm’s potential, but it was a good start. 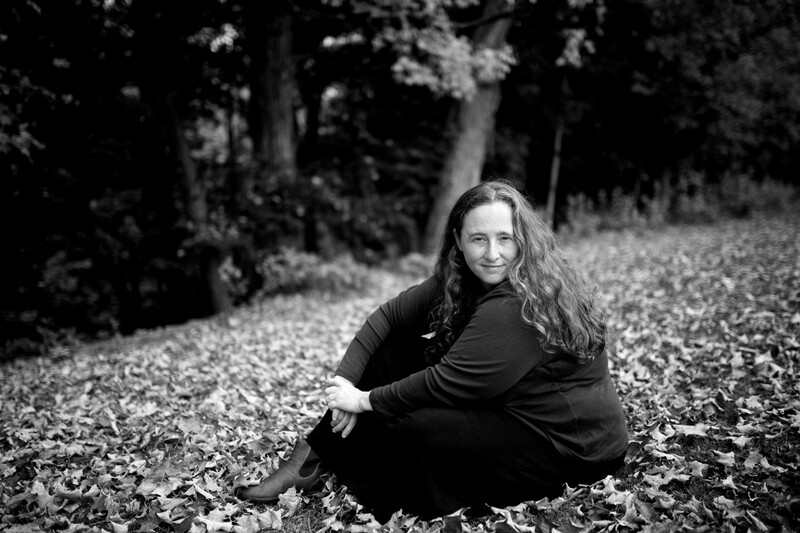 I wrote a whole bunch (270 days) of haiku. We tried a Kickstarter campaign, which was ultimately unfunded but absolutely successful in other ways. 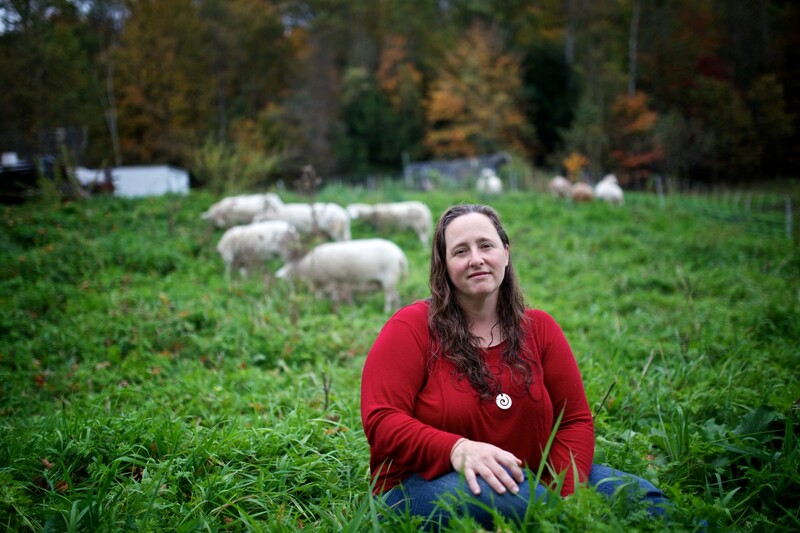 I wrote a three-part series about our fifteen-year journey to the farm for On Pasture. 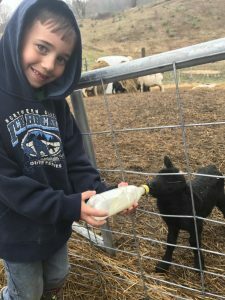 We hosted the first of our annual Lamb Open House events to meet neighbors, moved sheep every day through the grazing season, picked a ton of blueberries, cooked up barbecue for our adjacent buddies at the Jacob’s Court mobile home park, and held an end-of-season farm workshop & dinner. And we’re finally back into raising pigs! All along, 2017 was about testing parts of this new life to see what fits and what doesn’t. 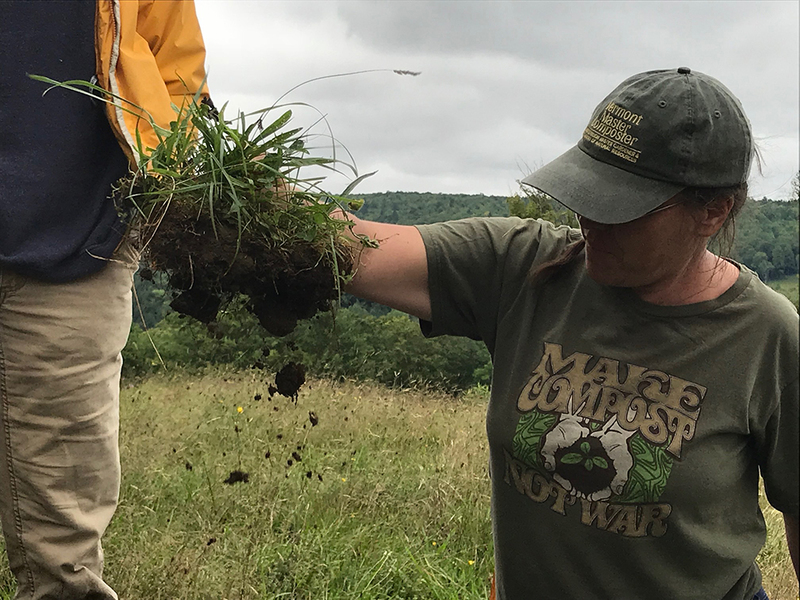 We have many plans for 2018, including events spread from June to October that showcase different aspects of our skill sets and the farm’s offerings. We are building a pig roasting pit and starting to develop a gathering area around the pond. The sheep flock is expanding and we’ll be running water pipe around the pastures to increase our capacity to include cattle in the mix. We’re documenting everything that we can. We’re still not sure whether 2018 is Yurt Year, but our aim is to really start digging in and sharing the farm in new ways to new people. Much to do and say and love about the changes afoot. My recommendation: subscribe to our newsletter to keep up!